According to research published in Journal of Clinical Endocrinology & Metabolism resveratrol, a compound found in the skin of red grapes, appears also to suppress inflammation in humans, a finding that may have implications for both inflammatory and degenerative diseases. Age-related macular degeneration, a condition in which the cells in the retina degenerate, has been linked to inflammation. Research has pointed to abnormalities in the complement cascade that create a pro-inflammatory environment. If you have new distortion or central black spot, you should seek immediate medical attention as this may represent the "wet type" of macular degeneration, for which treatments are available. Diabetes, a condition in which the body's own insulin is not effective or is present in lower amounts, has been linked to inflammation of the tiny insulin producing cells in the pancreas. Diabetes is associated with a higher link of stroke, heart attack, kidney disease and blindness. Ischemic heart disease, which can cause heart attack, has been linked to inflammation of the inner lining of the coronary arteries. Inflammation associated with plaque can cause sudden cardiac death. To perform their study, researchers from Kaleida Health's Diabetes-Endocrinology Center of Western New York, gave 10 subjects nutritional supplements containing 40 milligrams of resveratrol. Another then took an identical pill containing no active ingredient. Participants took the pill once a day for six weeks. Fasting blood samples were collected at the start of the trial as well as weeks one, three and six. 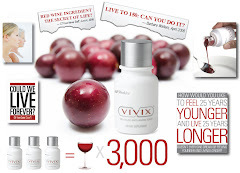 The results showed that resveratrol suppressed the generation of free radicals. These are unstable molecules which can cause oxidative stress and release proinflammatory factors into the blood stream. Ultimately these molecules are known to damage to the blood vessels and also promote angiogenesis or the formation of new blood vessels. Todays research shows that resveratrol can have an effect on inflammation in the body. More research is needed to better understand if this compound can lower the prevalence and incidence of diseases linked to inflammation and aging.